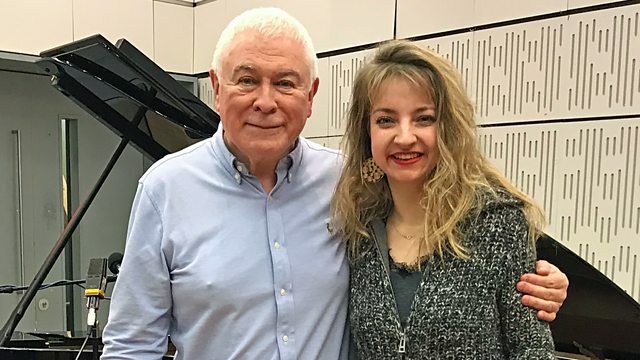 Lise de la Salle joins us in the studio for a live performance ahead of her concert with Royal Philharmonic Orchestra on the 5th march at the Royal Festival Hall. Live music also from singer songwriter and pianist Olivia Chaney who embarks on a UK tour with her album "Shelter". We are also joined by John Nelson as he prepares to conduct Berlioz’s ‘Grande Messe des Mortes’, in the historic setting of St Paul’s Cathedral to mark 150 years since the composer’s death. The American conductor and Berlioz expert will lead a performance of over 300 musicians, featuring the Philharmonia Chorus and London Philharmonic Choir alongside the Philharmonia Orchestra on Friday 8th March. Performer: Isabelle Faust. Orchestra: Academy for Ancient Music Berlin. Conductor: Bernhard Forck. Performer: Joyce DiDonato. Choir: Choeur Philharmonique de Strasbourg. Orchestra: Orchestre philharmonique de Strasbourg. Choir: Chœur de l'Opéra national du Rhin. Choir: Badisches State Opera Chorus. Conductor: John Nelson. Performer: Marie‐Claire Alain. Singer: Roberto Alagna. Choir: choeur de l'enfant de l'Union Europeenne D'Antony. Choir: Choeur de l'Orchestre de Paris. Orchestra: Orchestre de Paris. Conductor: John Nelson. Performer: Peter Hurford. Ensemble: Concertgebouw Kamerorkest. Conductor: Joshua Rifkin. Performer: Maria João Pires. Conductor: Bernard Haitink. Orchestra: London Symphony Orchestra. Beethoven: Piano Concerto No. 2 & Triple Concerto. Performer: Olivia Chaney. Performer: Jordan Hunt.